"After extensive research in finding the right company whom i could trust to handle and transfer all my 8mm films, i settled with Digital Video Lab. I must say from my very first phone call I was extremely impress with their professionalism! Estimates were very accurate, no games and most importantly their transfer quality of 8mm film is EXCELLENT!! I will not hesitate to recommend them to anyone interested in having the best quality transfers. THANK YOU DVL!!" I am so pleased with the DVDs you made for me from my family videos. Some of the tapes were 34 years old, and it brought back such nice memories to see my children as babies. The DVDs are excellent quality and the menus you designed on each DVD make it very easy to find exactly the scene I want to view. I will happily and confidently recommend you to any friends who need to have their tapes converted. 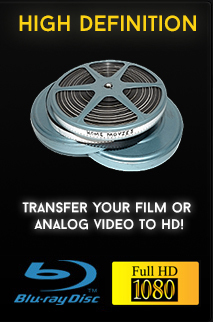 "Really fantastic tape-to-DVD transfer service. Excellent value and service. The DVD I got had a menu with title of my choice and the video quality was great! Much better result than some similar services with a reasonable price. 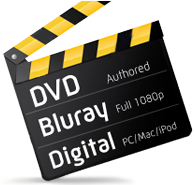 Highly recommended"
I want to take this opportunity to thank you for the wonderful job you did transferring my family's videos into brand new DVDs! The DVDs were delivered in a very organized fashion, beautifully packaged with each one clearly labeled. You even spent the time to count out each one to make sure everything was transferred & returned as promised. What I liked most was that you kept me informed each step of the way and you always made me aware of your progress. So far, I've watched 20 out of the 80 DVDs and they are all perfect! Thanks again for a job well done and I would be happy to recommend you to anyone interested in this service. Now I have DVDs of my family that will last a lifetime! Sincerely,"
You sure made our wedding album of more than 150 static color slides into a beautiful DVD. We are very pleased with the creative way that you brought all the elements together. The fades and wipes that you inserted, together with the music that we selected from our own library and the color enhancements that you provided, made our wedding album good for another 45 years. provides the highest level of professional service beyond what you normally would encounter in the industry. His meticulous, careful work provided my family nearly fifty DVDs transferred from multiple format videotapes. My job was particularly complicated and Raymond provided was highly edited error-free DVDs. I am very impressed with his work." Just wanted to drop you an email to let you know how much everyone in the FINE family is LOVING seeing their childhood on the DVD's... Once again, you did a terrific job on the music... I'm amazed how you were able to fill all 9 DVD's with great music.... It makes it so easy to watch the films... Good job Ray! Just perfect! Thank you soooooooo much! Wishing you & your family a healthy, happy & prosperous holiday season... Happy Hanukah too! to think i was actually going to have my videos shipped to another state to have them transferred was something i could not get myself to do for the longest time. I"m soooo happy i found you. Thanks for the great work and your pateints in turning my memories into DVDs." Thanks so much for the professional service you provided for my DVD conversion. I didn't want to drop off my tapes in some random place and DEFINITELY didn't want to place them in the mail. It's great having an interactive menu on my DVD with titles and I definitely see the difference betwen your quality and the quality of other less expensive companies that do straight transfers. We will be sending you our Summer vacation tapes as soon as we're back! Thanks so much."